It's time for the Annual Extraterrestrial Cow-Pulling Contest, and aliens from all over the galaxy have come to watch the event. 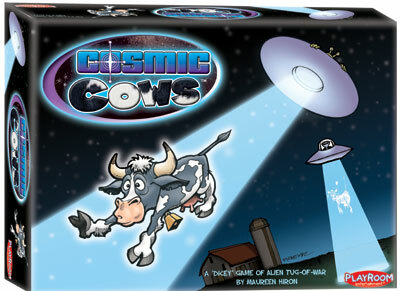 Go head-to-head with your cross-cosmos rival to see who can abduct three Cosmic Cows first. For two players or teams, ages 8 and up.